Contact lenses open up a world of opportunity for those with vision issues. They not only are an alternative to wearing glasses, but have the ability to assist with certain eye conditions. When issues such as thinning of the cornea causes it to have a cone-like shape (Keratoconus), contact lenses can artificially correct the sphere of the cornea, allowing greater vision. Conditions such as farsightedness, nearsightedness, astigmatism and loss of near focusing (presbyopia) can all be corrected with the use of contact lenses. These lenses are made of a thin gel-like plastic (Hydrogels, or Silicon Hydrogel). They are very pliable, it easy for your eyes to adapt to them in no time. You can purchase these soft lenses for daily, monthly, or annual use. Hard lenses, or more technically known as Rigid Gas Permeable Lenses, are more firm in their make. These lenses are optimal for patients who have irregularities in their corneas or more complicated glasses prescription, as they provide a good fit with sharp vision. The variety of designs with these lenses allows those with several different eye conditions to still have the opportunity to wear contact lenses. Note that compared to soft lenses, hard lenses take more time for your eye to adapt. Should my child be wearing contact lenses? 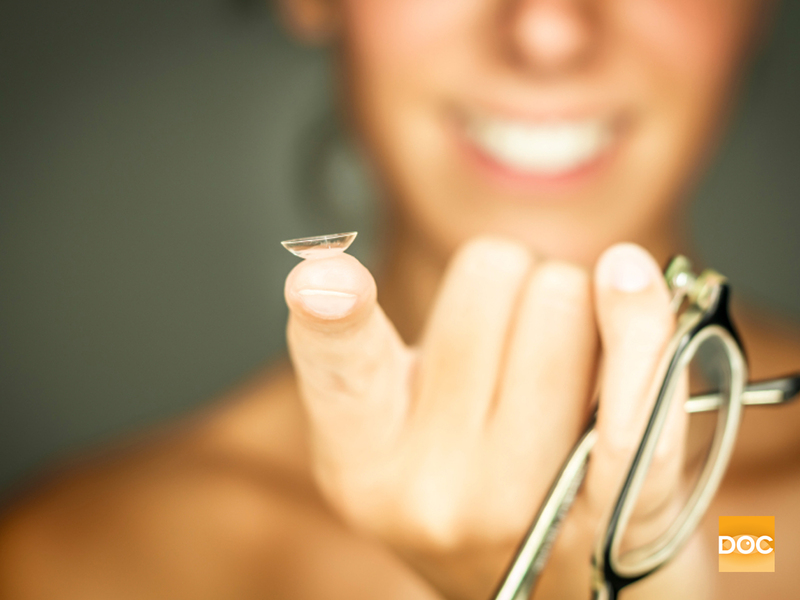 With advances in contact lens materials and daily wear, contact lenses can be fit at any age. However, generally patients have to be mature enough to manage their contact lenses well to prevent severe eye infections and complications. When one is not capable of being responsible for this management then parents or guardians must be willing to take over the role of responsibility to ensure that the lenses are worn the proper number of hours, cleaned properly, replaced as directed, and, inserted and removed properly. If you and your child believe they are ready to care for, and wear contact lenses, you are always welcome to speak with your optometrist about your child options. For both soft and hard lenses, always begin by thoroughly washing and disinfecting your hands before handling your contact lenses. 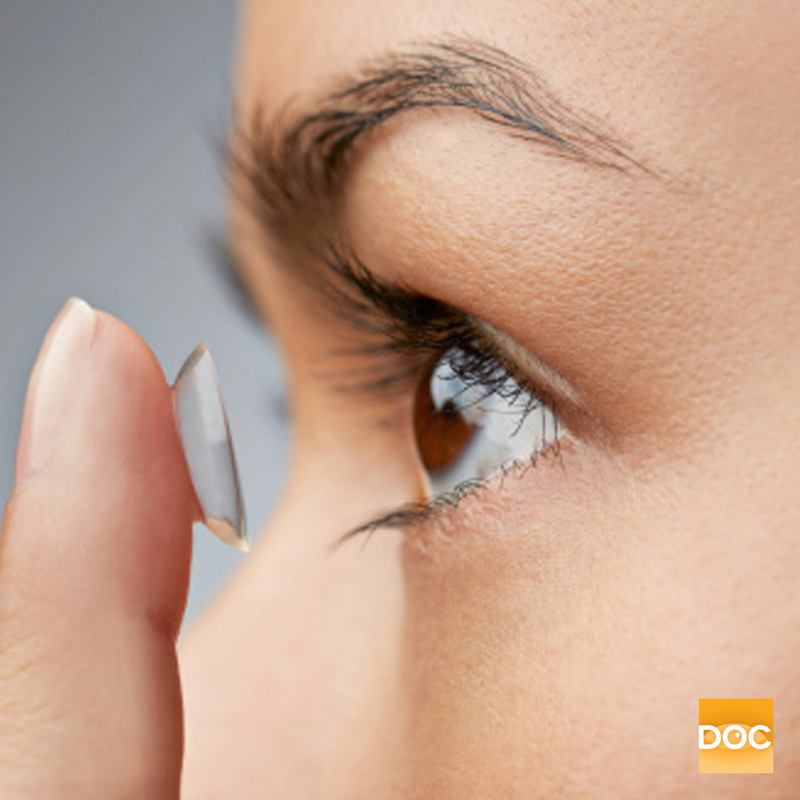 Dispose and replace your contact lenses as prescribed by your optometrist. Be sure to always use contact solution and store them in a clean case when you aren’t wearing them. Never use water to store your contact lenses. Replace or sterilize your case every 3 months to ensure it remains clean and bacteria free. Always remember that when you get a new glasses prescription, that it applies to your contacts as well. Finally, if you ever have and emergency, or issues with your contact lenses, seek help from your eye care professional. In conclusion, contact lenses are a flexible option ready to fit your lifestyle! 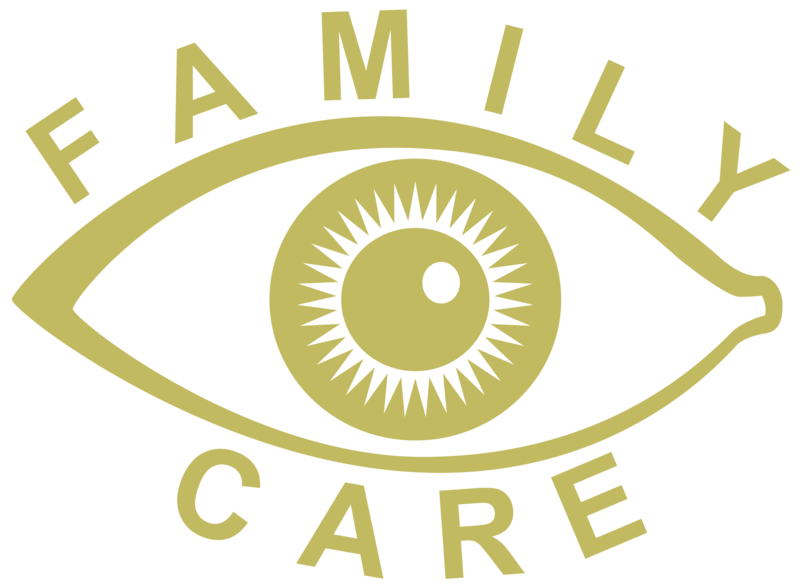 With thorough examinations and proper measurements of your eyes , the team at Family Eye Care team are here to fit you with contact lenses.